The Audi A8 came in for a paint correction detail due to poor washing techniques this car was only six months old as well. This car needed a four stage machine polish to remove all the swirl marks, scratches and holograms. After having the paint correction treatment the car benefited from a ceramic coating protecting the paintwork long-term. 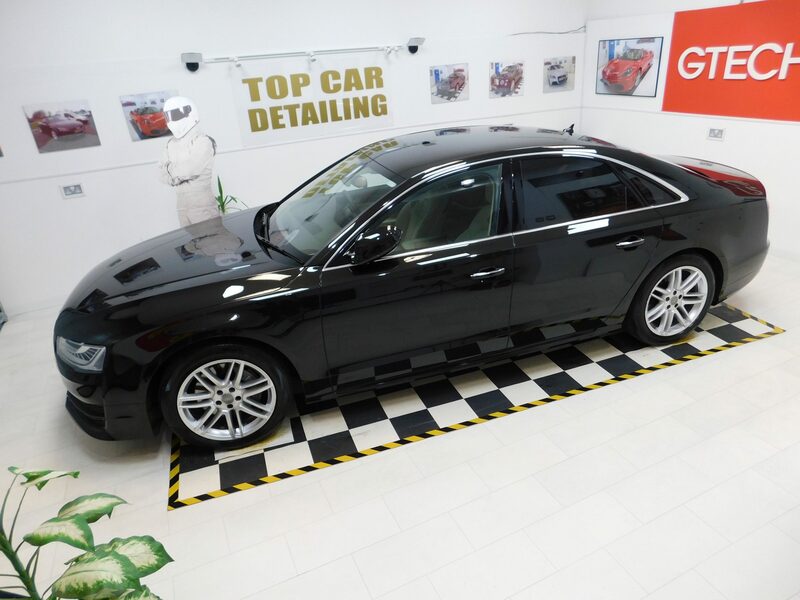 If you would like any advice on our car detailing services then contact us today and find out more.